Being a successful graphic designer today requires more than knowing the essential features of industry-standard software applications. It also requires an understanding of how to integrate these programs into a seamless whole while producing work that conforms to design principles and client expectations. This fully revised fifth edition of THE GRAPHIC DESIGNER'S DIGITAL TOOLKIT provides comprehensive overview of Macintosh OS X Leopard and Windows 7 operating systems, design fundamentals, and the "Big 3" digital design programs used in the graphics industry today: Adobe ® Illustrator ® CS5, Adobe ® Photoshop ® CS5, and Adobe ® InDesign ® CS5. The book examines the essential features of each, then reveals in practical detail the traditional skills and technology necessary for effective design for print and Web Media. This project-based book features a highly visual introduction to the essential tools and functions of each application from the perspective of the working designer. 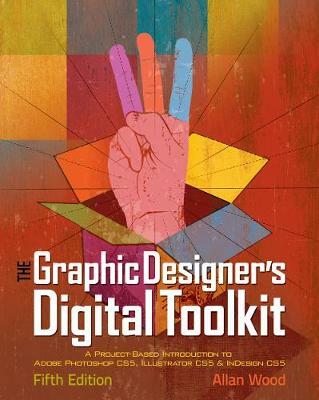 Readers are then given the hands on opportunity to put what they learn to work by tackling design projects from concept to completion with assignments drawn from the everyday world of professional graphic designers. All files needed for projects and tutorials are found on the accompanying text CD.